For many kids with Attention Deficit Hyperactivity Disorder and their families, an ADHD summer camp can be a welcome change of pace. Children with ADHD are usually ill-equipped to handle traditional summer camps. What's more, regular camps typically hire teenagers and other well-meaning employees who are unfamiliar with the needs of differently-abled kids. 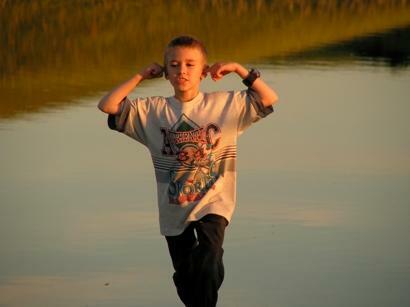 As a result, children with ADHD are frequently labeled as behavior problems, troublemakers, or even learning disabled. These special kids need special camps. These camps typically focus on each camper's strengths and strive to teach the children to move beyond labels and reach their own potential. What is the camp's discipline policy? Are campers allowed to phone, write, or email home? What are the qualifications of the camp employees? Does the camp allow family visits? What is the camp's philosophy or mission statement? Does it mesh with your beliefs? What accommodations are made to deal with ADHD? What are the physical requirements of the campers? What types of treatment, counseling, or education are offered? What is the ratio of adults to campers? Is the treatment or education balanced by fun and adventure? Is the tuition all-inclusive, or will there be additional charges? The cost of the camp is approximately $1000 - $2000 per week. SOAR focuses on helping each camper reach his full potential. Rather than emphasize the ADHD, SOAR professionals highlight each child's strengths, skills, and talents. In an effort to foster each child's independence, campers are not allowed to phone home. The program costs approximately $1000 - $2000 per week. Talisman is located in North Carolina, and offers camp programs for children and teens with ADD, ADHD, Aperger's, and learning disabilities. This fully accredited camp focuses on emphasizing individual strengths, nurturing bonds, and building self esteem, all in an adventurous, wilderness setting. Although the staff does not consist entirely of trained professionals, all are at least college students in a related field. Tuition ranges from $2000 - $2900 per session.